It's a wonderful experience to travel in Iceland by car, but it is important to remember that due to the specific nature and weather conditions, one should follow particular rules, while driving across the country. Usually when you decide to rent a car, the company would be more than welcome to answer all your questions regarding driving in Iceland. However, if you want to get information in advance, here we made a list of the most essential rules to remember. Almost all roads in Iceland, especially the mountain roads have a surface of loose gravel. In case you are not used to drive on such roads, it is very important to remember that you should drive really carefully there and slow down, when another car approaching. Additionally mountain roads are usually winding, so make sure that you don't speed up, as it may lead to serious consequences. The general speed limits is 50 km/h in urban areas and 80 km/h on gravel roads, however it is vital to pay attention to weather conditions and the situation on the road. It is completely prohibited to drive under the influence of alcohol. Seat belts must be used by both front and back seat passengers and the headlights should be used during day and night. 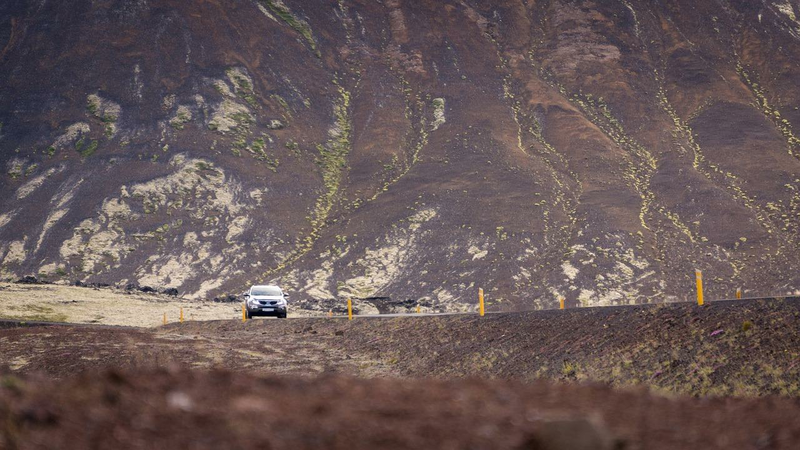 It is forbidden in Iceland to drive on off roads and marked tracks. Mountain roads are usually opened only since the beginning of June due to bad conditions during other seasons. However even when you can drive there, some roads require 4x4 vehicles. It is advised to travel together with 1-2 other cars for safety reasons. It is also important to find in advance the road conditions, for that matter you can contact tourist centre or the Icelandic Road Administration. In Reykjavik area the petrol stations are usually opened between 07:30-20:00, however private companies across Iceland may extend their working hours till 23:00. In some stations there are automats, which you can use even when it is closed, the machine will accept 1000 bank notes or credit cards. There are many petrol stations in Iceland, so you shouldn't worry about finding a place to refill your car.